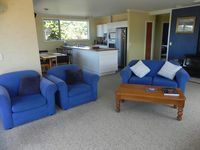 Properties in Franz Josef Glacier average 4.5 out of 5 stars. Property 3: Sea, mountain and rainforest views - life is good in Okarito! 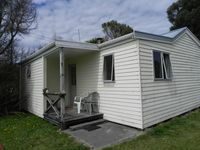 Property 4: Kiwi Cottage is a simple and cozy cottage nestled in the very heart of Okarito! Property 5: Wharf Cottage offers views to Okarito lagoon, the Tasman Sea and mountains.